Last year saw the introduction of the new Selene 42 Europa. Six yachts based on this model are now under construction, including two destined for European waters. The distinction between the Europa model and the Trawlers is that, in the former, the helm is located on the same level and in the same space as the lounge and galley, while the Trawlers always have the helm in the raised pilothouse. The success of the Europa concept generated demand in the market for a larger model, with more living space and more cabins. The Selene 50 Europe was developed along these lines. It incorporates three cabins, which makes it the smallest Selene with a three-cabin layout. 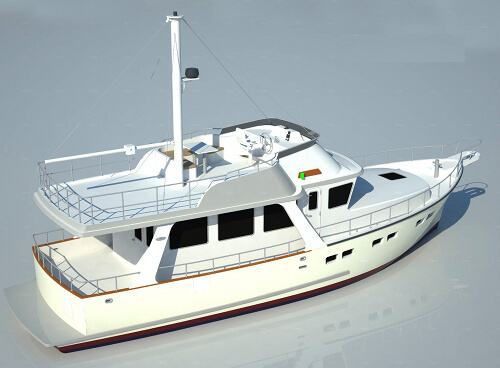 We hope that this model will add a new dimension to the wonderful Selene Yachts line. 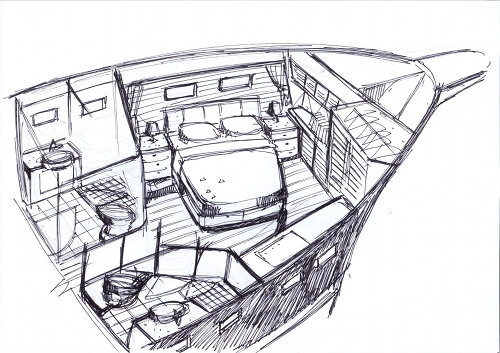 One yacht based on this new design is currently under construction at the yard.